Today I had the pleasure of interviewing Kathy Steinemann, author of Megan and Emmett (WIP). Kathy has loved writing for as long as she can remember. As a child, she scribbled poems and stories. During the progression of her love affair with words, she won public-speaking and writing awards. Her career has taken varying directions, including positions as editor of a small-town paper, computer-network administrator, and webmaster. Her short stories and poetry have appeared in various online and print publications, including Shoreline of Infinity, Boston Literary Magazine, and The Quarterday Review. 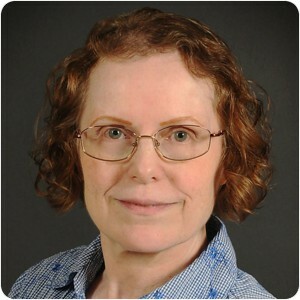 She has published multiple novels, anthologies, and self-help books. Kathy tries to write something every day. Her WIP is another anthology in the Megan and Emmett series. Tell us a little about yourself – your education, family, etc. I pursued several avenues of post-secondary education, but always gravitated back to my first love: writing. I’m a homebody who enjoys a good novel or television show that engages my imagination. My family—a long-suffering husband, three grown children, two grandchildren, and a pair of mischievous cats—help keep me young at heart. What started you on your journey to become an author? I can’t name a single thing. However, I can remember losing myself in fiction as a child—running through meadows with the Black Stallion or speeding through space to distant planets. Winning a few writing and public-speaking contests helped fuel my enthusiasm. What is a usual writing day like for you? I don’t have an ironclad routine, but I generally manage social media tasks early in the day. I might do a critique at Scribophile, transcribe information from sticky notes into my computer, record new ideas, and then tackle the serious task of writing, editing, or designing book covers. I get away from the computer every twenty-five minutes or so—with the help of a nagging timer—to stretch my legs, refill my coffee, or see what mischief the cats are up to if they haven’t been trying to take control of my keyboard. 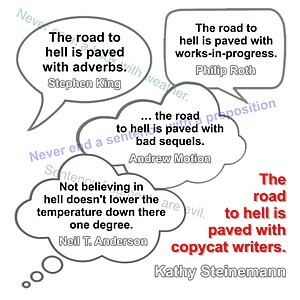 Do you have a specific writing style? Are you a plotter or a pantser when it comes to writing? I attempt to make every word count, omitting most adverbs, employing active verbs, and keeping descriptions—especially of characters—to a minimum. I believe that if you tell readers a woman is a long-distance runner on a trail in the woods, they’ll see what she’s wearing. Why bore them with details they’ll forget in a few paragraphs? Do they need to know she’s wearing turquoise-blue jogging pants and a red sweatband? I keep to the important facts. Does she rub her elbow because she hurt it playing tennis? Will that affect how she reacts in five minutes when she’s attacked by a strange man in a ski mask? Most of my writing is of the pantser variety. I prefer to let my characters and story lead me in unexpected directions. How much of your work is based on first-hand knowledge? Is anything you write based on real people/events and if so, how did they inspire you to create your work? Most of what I produce is pure imagination, although real life sneaks in. The Megan and Emmett series, while not based on me and my husband, does have snippets that mirror our conversations and interactions. It’s always fun to hear friends speculate about what’s real and what’s fiction after they’ve read Nag Nag Nag, the initial book. Do you get writer’s block and if so, how do you overcome it? Yes and no. I find that writer’s block is usually a byproduct of staying away from my computer and finding excuses when I don’t feel up to writing. As soon as I scrap that mindset and open my word processor, the ideas start to flow. If I bog down trying to think of an appropriate word or phrase, I walk a few figure-of-eights around the room. That usually gets the creative juices flowing in the right direction. Who are your main influences in the writing world? Do you have favorite authors? I can’t say I’m influenced by anyone in particular. I admire Stephen King’s minimal approach, and I enjoy Ray Bradbury, Fredric Brown, and Rod Serling. Are you trade or indie published? How have your experiences differed from your expectations prior to becoming a published author? Indie all the way. I’ve never sought an agent or traditional publisher. With so many big-name authors switching to the indie model, I’ll probably stay where I am. I didn’t have many expectations when I began this journey, so whatever happens is a new experience. Do you have any regrets as an author? Yes. I wish I had started this process decades earlier. I have so many stories in my head and never enough hours to tell them. Oh—marketing. I regret having to strut my own stuff. If I didn’t have to market, I’d be more productive. Forgetting that fantastic idea I had a few hours ago but never wrote down because it was so mind-blowing I’d never forget it. Reminder to self: Jot down that idea you had as you started on this interview. You know the—Crap! Why do I hear Britney Spears in my head singing “Oops! … I did it again”? How long on average does it take for you to complete a book, from the first time you sit down to write until it becomes a published book? That’s an impossible question. I have one novel on my hard drive, the third in my Sapphire Brigade Series, that has been gathering digital dust for over a year. It took me several months to research, and I’ll publish it after I run the earlier books through a critique cycle at Scribophile. 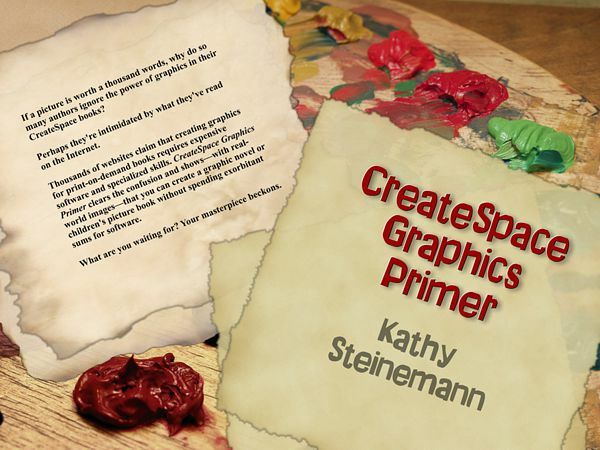 My most recent creation, CreateSpace Graphics Primer, required almost as long due to the extensive graphics and numerous proofs I had to order before I was satisfied with it. I’m no George R. R. Martin, but I enjoy a relaxed approach. Rushing into publication is a typographical disaster waiting to happen. Yes. Learn the rules and then learn when to break them, or you’ll end up as a copycat without a distinct voice. Advice can be like pasta—with exquisite texture when cooked properly, or pasty when overdone. Here’s an excerpt from the next Megan and Emmett WIP, from the chapter, “Let Tiffany Take Care of You”. “Be gentle.” Heh heh. She can take care of me any day. What a beaut. “Relax? How can I relax with you standin’ over me?” With those gorgeous brown eyes. And whatever that is in your hand. “Mmph.” She musta been gentle. I dozed off. Damn cat kept me awake all night. Really enjoyed the interview. I have critiqued some of Kathy’s work over at scribophile. I rarely have much to add although I always ending up laughing at Emmet and Megan’s latest escapades. And I feel the same way about comma splices! Thanks, J. I’m working on novel revisions right now and getting way behind on e-mails. Good luck with your blog! You have some great pieces posted over there. You are welcome. I certainly know about novel revisions. Wishing you well on yours.